The administration has moved to roll back an Obama-era requirement that big employers submit info about workplace injuries to the government. WASHINGTON — The Trump administration has moved to roll back an Obama-era safety rule requiring large employers to submit detailed logs of workplace injuries and illnesses to the federal government. Many employers are already required under federal law to keep records of serious work-related injuries and illnesses. But the Obama administration created a new regulation requiring those with 250 or more employees to electronically submit detailed forms to the Department of Labor, which would then post some of the data publicly. If the Trump administration prevails, these employers will no longer be required to provide the government with records describing individual injuries and illnesses in detail. (One example described by a required form: "When ladder slipped on wet floor, worker fell 20 feet.") Instead, they will only have to submit records tallying the total number of workplace injuries, illness and days of work missed, according to proposed changes that the Occupational Health and Safety Administration unveiled on Friday. The Department of Labor said the original rule threatened workers' privacy, as detailed data about individual incidents could be subject to Freedom of Information Act requests. The proposed changes would "better protect personally identifiable information or data," while reducing the burden on employers, it said in a press release. The proposal drew sharp criticism from public health advocates and former Labor Department officials who developed the rule. "The existing rule is in place to protect workers," said Sean Sherman, an attorney at the Public Citizen Litigation Group, which is suing the Trump administration over the way it's handled the rule. "The idea that you can protect workers by rolling back a strong worker protection is absurd." "This is about the administration listening to employers who don't want workers and the public to know about dangerous conditions," said Debbie Berkowitz, a former OSHA official who worked on the original rule. The new data, she said, would help officials better understand why workers are getting injured on the job and how to protect them, adding that the agency could easily redact any sensitive information before posting the records publicly. The Labor Department denied that its proposal would put workers at greater risk. "This proposal maintains safety and health protections for workers while protecting sensitive worker information from public disclosure," communications director Megan Sweeney said in a statement. 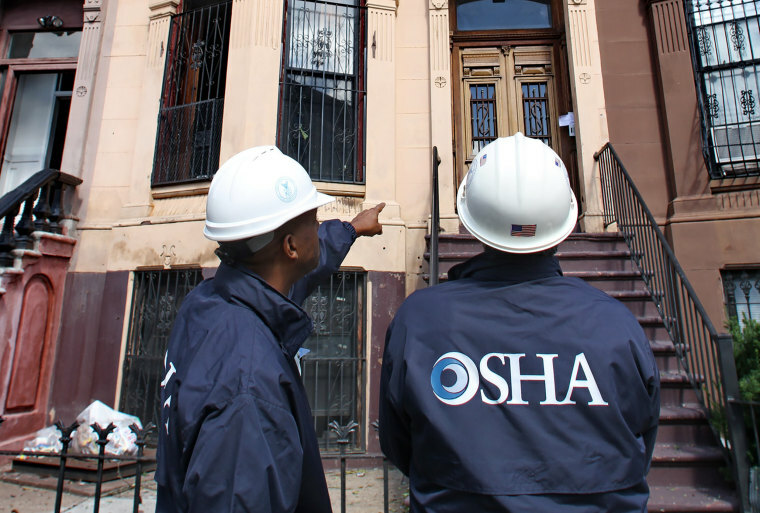 "The data OSHA continues to collect is robust and enables the agency to most effectively protect workers on the job." But the U.S. Chamber of Commerce, which sued the Obama administration over the new requirements, said that the Trump administration did not go far enough in its proposed rollback. Under the proposed revisions, which must go through the formal rule-making process to take effect, employers would still have to submit forms that contain "confidential business information," including the number of hours worker and number of employees, said Marc Freedman, the Chamber's vice president of workplace policy. Publishing employer data on injuries and illnesses could also be used to malign businesses unfairly, he added. "Not all injuries that have to be recorded reflect on an employer’s safety program," said Freedman, whose group has been lobbying the Trump administration on the rule. "We don't think they’ve fully taken care of the problem."